Let’s face it, every industry has a diva. The fashion industry has their models and the wine industry has Pinot Noir. That’s right, Pinot Noir. Often the most demanding of all grapes. Tending to be thin skinned, (taking offense easily), and insisting on ideal growing conditions. Requiring an environment not too windy, not too harsh, not too dry, not too wet, nor too hot, hence, the diva mentality. With all dramatics aside, Pinot Noir may be demanding but given these ideal conditions and time to reach its maturity, this diva produces exceptional fine wines. Here on the West Coast, Pinot Noir can be found thriving in both Oregon and California. But much like the state's collegiate football teams there is some animosity, (in the friendliest of manners of course), between these states and their ability to outscore each other in producing award winning Pinots. Having been raised in Oregon and having spent most of my adult life in California, you can image me sitting on the 50 yard line with webbed feet and bear claws trying to decide which end-zone to run towards…or am I? The driving competitive factors between Oregon and California Pinot Noir production may be hard to pinpoint but there is no denying there are differences. For example, let’s compare the Pinot Noirs of both Bergstrom Winery out of Newberg, Oregon and Wild Hog Vineyard from Sonoma's Russian River Valley. Bergstrom Winery has been producing wine in the Dundee Hills of the Willamette Valley forjust over 12 years. 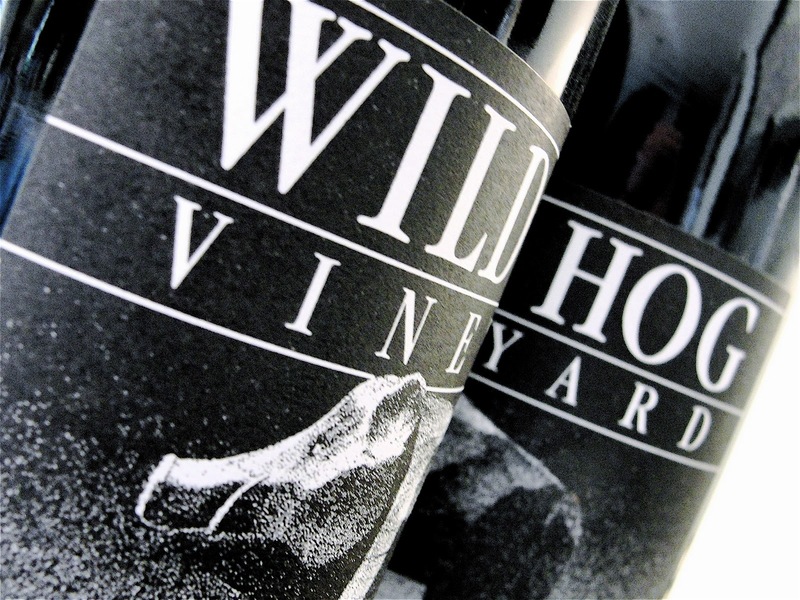 Their 2008 Oregon Pinot Noir has strong depth and character exuding a high acid structure, dark cherries, baking spices, minerality, and a touch of mushroom or earthiness. Wild Hog Vineyard of the Russian River Valley has been making wine since 1990. Their 2008 Saralee's Vineyard Pinot Noir explodes with big fruit flavors, tart fruits, strawberries, blackberries, red plums, light to medium bodied with a slight effervescence. fooled by the nuances of earthiness and silky tannins, Oregon could be charged with emulating its Burgundy cousin in displaying similar subtleties and complexities but I will let you gather the evidence before that trial. While, Californian winemakers deal with a warmer climate they are also creating a distinctly fruit dominating style of Pinot not to be dismissed. Pinot Noirs from this star studded state tend to display an ease of drinkability and an element of "je ne sais quoi" of their own. This race is tough to call and ultimately is up to the consumer and their individual palate but there is no denying a driving competitive factor is the climate. It is, however, evident that our thin skinned diva is versatile as much as picky. And as to not offend our diva, let’s just say I'm positioned towards the end-zone that allows me to enjoy basking in the sunshine clawing my way through blackberry bushes over waddling through puddles in a forest hunting for mushrooms. I think it is like all wines, it comes down to preference. Those that prefer California wines, by and large, like bigger fruit wines. The want those slap-you-in-the-face-with-a-bunch-of-grapes reds. Those that prefer Oregon wines want more complexity and less in your face fruit. One isn't better than the other, just different; but a difference that makes for a merry war. For me it means lots of tastings set up with friends, each of us loudly advocating for our favorites (and enjoying trying our competitors). Great post! TҺis post is actսally a pleasant one іt assists neѡ internet users, who arе wishing for blogging. Orygun is "Bad to the Beaune"
There are traditions and flavors associated with creating a wine named Pinot noir . There are flavor parameters we come to expect. The grape itself is French and indigenous to Burgundy. This is where the methods of harvest and creation were conceived. From these methods we have the flavor of Pinot. California cannot properly harvest Pinot noir. The climate doesn't allow it. They do not properly create Pinot noir wine in their wine making methods . They do not make any wines that taste like Pinot noir. Oregon is able to better harvest this grape, and make a decent Pinot which identifies with the original intention of Pinot Noir. However, over all , nothing comes close to the grape's home of Burgundy. If you love the flavor of California Pinot, you don't love the flavor of Pinot Noir.